Can thinking about food as we do Tinder improve our happiness? Pop your name and email below to get Thursday’s issue. I'd love to get Thursday's issue! This post first appeared in the Happy Eating Encouragement section If Feel Good Foodspiration. If you'd like to recieve the newsletter each Thursday evening at 5pm, you can sign up right here. Every issue contains four feel good dishes to inspire you for the week ahead, a little look at what I've been eating this week, happy eating encouragement and any food news I've got going on! Come and join the feel good foodspiration gang, I can't wait to have a chat with you on Thursday! Think of food choices a little like Tinder. If you were on the rather popular dating app Tinder, swiping away at possible matches, would you swipe yes for someone that didn’t make you feel good? No! No you wouldn’t! So why do we eat foods that don’t make us feel good? Much of the time it’s around the labels we give foods, we label sugary/fatty/processed foods as “bad” and fresh vegetables and fruit as “good”. We need to let go of these labels and in order to do so we’ve got to start calling food exactly what it is. A salad is just a salad, whether it’s eaten with nachos, crusty bread with an ample layer of butter or as a few lettuce leaves with some celery, it’s still just a salad. It’s neither “good” or “bad”, “healthy” or “unhealthy”. When we stop labelling food, we cease to identify with those labels and in doing so we let go of negative connotations we have around food. The stress that we feel regarding food is usually from the judgements we create. Where do those judgements come from? They come from our conditioning, they are not fact. That inner chit chat takes from what we have been taught by our environment since we were born. From comments and behaviours of our parents and family members to the advertisements we have subconsciously recognised and sorted through as we age. All of that information is stored and our innervoice uses it to “help us out”. Except it’s not helpful if it isn’t true. 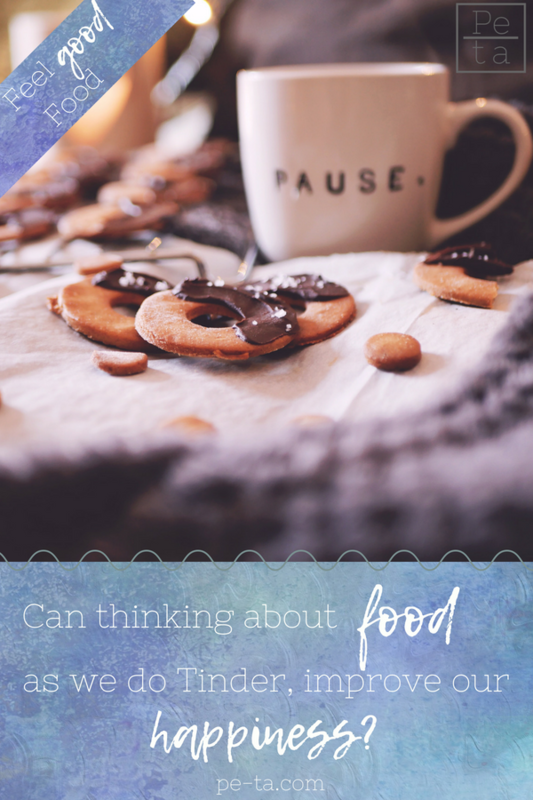 Take time before eating to ask yourself if you’re hungry and what you feel like eating. Whenever your body or gut feeling is different to what your mind is telling you, go with your body/gut, your mind is most likely parroting a behaviour or story it has learnt over time. An exercise to help you with de-labelling foods. Create two columns on a page, in one column write “good” in the other column write “bad”. Fill in each column with the foods you judge as “good” or “bad”. Now look at each food individually. Put a cross next to any food which if eaten once will negatively impact your health or wellbeing. Chances are it’s very few of them, only the foods you choose not to eat due to allergies, intolerances and sensitivities. Eating something every now and again won’t negatively affect our health - consistently eating those particular foods may. Look at each food as just a food. On a seperate page write a list of foods which make you feel good from your list of “good” and “bad” foods. Those are the foods we’re swiping right for! Refined White Sugar - is it evil? Should we all be avoiding it?